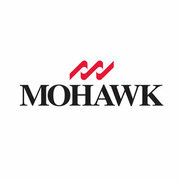 We are proud to sell Mohawk products. Their product quality and customer service is outstanding. 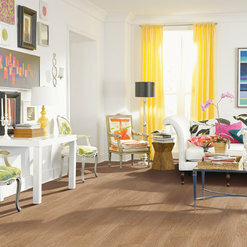 They offer a great variety of flooring planks and carpet. 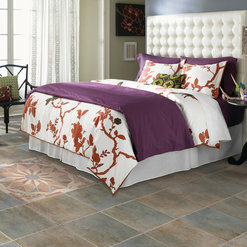 They have waterproof Luxury Vinyl Tile, which we recommend using in both kitchens and bathrooms. We love selling Mohawk products at our stores all over Chicago! Our customers really love their Mohawk Flooring! 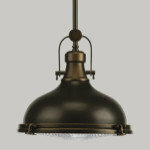 Thank you for making such quality, gorgeous product for our customers to enjoy for a lifetime in their homes! My husband and I purchased Mohawk flooring through Lowes on special order. My husband is a professional contractor and installed the flooring himself. We have seen many issues with the product! The factory cuts were horrible in many pieces which lead to large gaps between boards. The finished product is incredibly noisy when walked on even with a brand new subfloor done right. It is as if the wood is dried out. We contacted Lowes and they were handling discussions with Mohawk. They sent someone to take pictures of the finished project, sub floor and all materials used. They also had us ship a box back to Mohawk for inspection. It has been nearly a month with no results and my house is in shambles because we cannot proceed without new floors. (Did I mention I'm 4 months pregnant with twins?!?!) I thought I was doing the right thing buying 3/4 inch hardwood made in North America. Needless to say I am incredibly dissapointed! Again, we apologize for your flooring experience. I have loved Mohawk carpet for years! 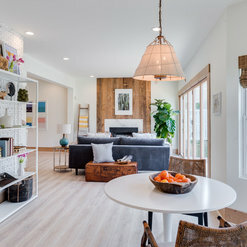 As a professional commercial interior designer, I specified Mohawk carpet often because of the variety of styles, color and the amazing quality. And now I am looking forward to putting their carpets in my own home soon! Wahoo! 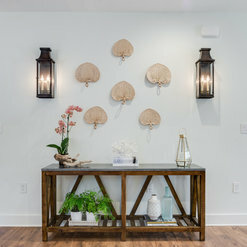 I also blog for Mohawk's Creative Home blog and absolutely adore being able to share my ideas through this wonderful site! I have nothing but good things to say about the company and the product! I love them both! I highly recommend Mohawk Flooring! 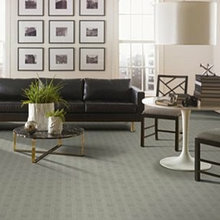 I have their Smart Strand carpet in my home, and it is the best carpet I have ever had! As the mom of four boys, it is hard to keep my house clean. However, any spills or dirt spots that land on my carpet cleans up easily and without a trace!! This is the only carpet I will ever have in my home! I have a Mohawk rug (otherwise known as Mohawk SmartStrand bound carpet) in the main living space in our home. We have had it for almost 8 months - a grey short shag rug - and it looks as good as it did the first day we got it. 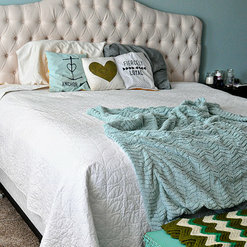 We love this rug, it doesn't shed it's fibers and looks amazing in the space. It is high quality and resists stains! We've had a Mohawk Flooring Smart Strand rug in our dining room for almost 3 years now and it has withstood many meals, parties, and our dog. 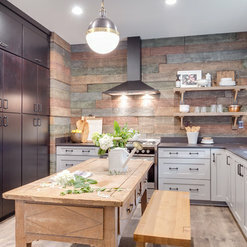 Love having a rug that is durable and stain-resistant in such a used space. 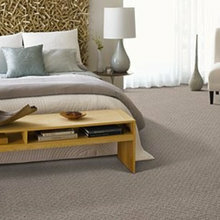 We absolutely LOVE our bound carpet from Mohawk Flooring. 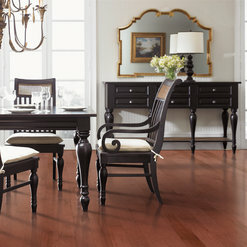 It withstands stains, is so soft, and it looks great on our hard wood floors. 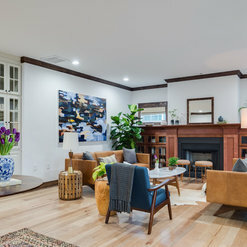 It really brings the room together and makes it seem so much homier! We love Mohawk Flooring. We own a rug which is still practically brand new after a year. We love their staff as well. It has been our pleasure to work with Mohawk Flooring. 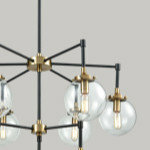 Their staff is professional and creative, their products are innovative and top-notch. It is a business partnership that we are truly proud of. 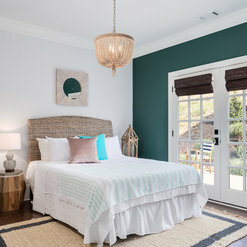 Commented: What are the paint colors please?Hi Donna, that's a great question! We sent an email to our contact at Fox Home Free and hope to have a response for you soon! 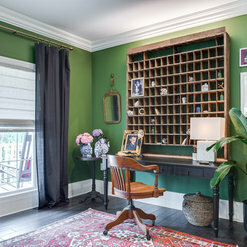 Commented: This green paint color is gorgeous! Please give me the details!Such a great question! We will touch base with the Fox Home Free team and get back to you! 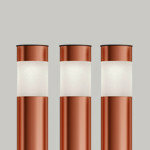 Commented: LightingSuch a great question! We'll ask Fox Home Free's production manager and will get back to you! 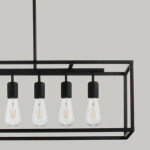 Commented: Ceiling lightHi - great question! I'll have to ask from the folks over at Fox Home Free and get back to you! 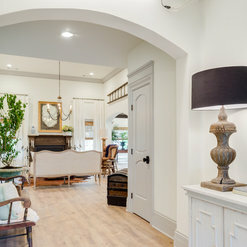 We provided the flooring for this gorgeous home.